One moment you’re a 70 year old granny taking a photo at the studio. And the next thing you know, you turned into a 20 year old girl and is living your dreams to become a singer. Does this sound somewhat familiar to you? The Korean version, Miss Granny, was released back in 2014 and became a huge box office success. A year later, the Chinese remake of the romantic comedy, 20, Once Again! became the highest-grossing film in the country. Last year, Reel Asian screened both films at our Spring Showcase – Remade: Love, Hate, Debate and Night It Up! summer outdoor film screenings. Now, the ecstatic granny is back in the Vietnamese remake, Sweet 20 which will be released on Friday, March 11, 2016 at Cineplex Yonge-Dundas in Toronto for another round of laughter and confusion as she embarks on a new journey to regain her youthful appearance and re-live her 20’s. Synopsis: Mrs. Dai is a fouled- mouthed 70 year-old widow who lives with her son and his family. She is very proud of her son (Quang), adores her grandson (Tung), but is strict with her depressed daughter-in law (Vy). After Vy’s sudden heart attack, Mrs. Dai is shocked when she discovered that her son blamed her for Vy’s incident and wants to send his mother to the countryside in order to give his wife space. Heartbroken by the fact, Mrs. Dai wanders the streets and stumbles upon a mysterious photo studio. She decides to go in and take a photo that can be placed on her alter after she dies. When she steps out of the studio, Mrs. Dai finds that she has magically turned into a beautiful 20 year old girl. She then goes by the name, Thanh Nga, and tries to make her dreams come true. Sweet 20 is the Vietnamese remake of the popular Korean movie, and is co-produced by South Korea’s CJ Entertainment and Vietnam’s HK Film. 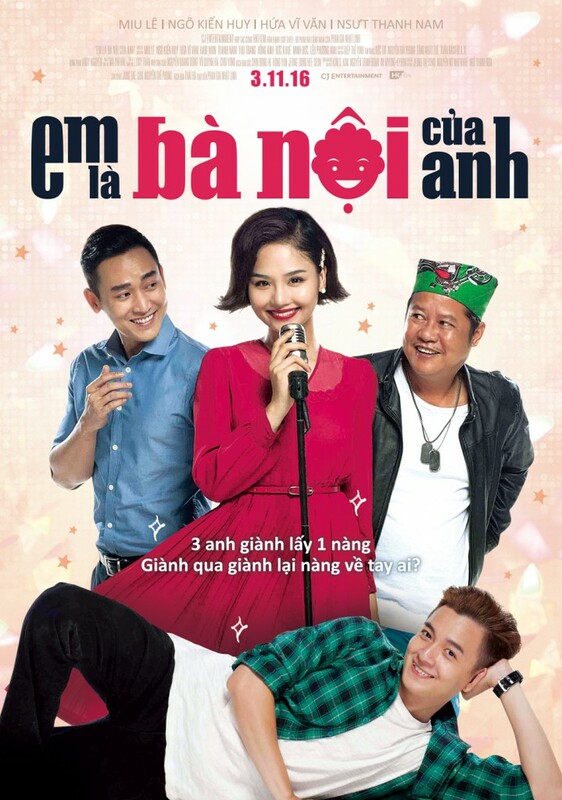 This romantic comedy is directed by Phan Gia Nhan Linh, starring Miu Le, Hua Vi Vhan, and Ngo Kien Huy.